Aloe vera heals, soothes, reduces and enhances all skin types. Aloe vera is one of the most versatile, safe and amazing ingredients used in the beauty care industry. It’s rich in vitamins A, B, C and E and contains a plethora of antioxidants, amino acids and nutrients. 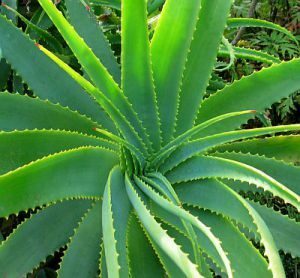 In Ayurveda (one of the world’s oldest holistic healing systems) aloe vera is considered the miracle substance that can be used to treat wounds, minor cuts, dry skin, severe burns and more. Many of us know this cactus for its ability to heal and soothe sunburn. But its benefits are endless. Here are a few. The primary ingredient in our cleanser, toner and moisturizer is organic aloe vera juice. It’s the perfect ingredient to be used in your facial care treatment, because it helps all skin types. It moisturizes the skin without a greasy feel so those with an oily complexion love it. And because of its nutritional qualities, it replenishes moisture quickly for those of you with dry skin. The beta carotene and vitamins C and E help fight aging by naturally improving the skin’s firmness and keeping the skin hydrated so it’s perfect for those looking for a natural treatment for wrinkles. And even those with skin sensitivities are soothed by its healing properties.We recommend products that contain aloe vera as a primary ingredient. See what we offer at in Harmony. Are you looking for a natural way to treat stretch marks, soothe razor burns or cuts, heal eczema? Then consider applying aloe vera or products that are rich in aloe vera, preferably as the primary ingredient. We recommend our hand & body lotion and our lavender body butter. They do a great job of treating these conditions along with treating dry, cracked skin and cuticles. Aloe vera isn’t only good for your face, its an ideal hair care product. It’s known for promoting hair growth, it reduces dandruff, it maintains the pH balance of the scalp, it conditions the hair and soothes scalp psoriasis. The shampoos and conditioners sold at in Harmony use organic aloe vera juice to address all of these issues and more. 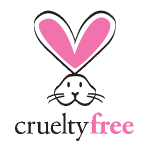 Next post: Why Choose Gluten Free Beauty Products?